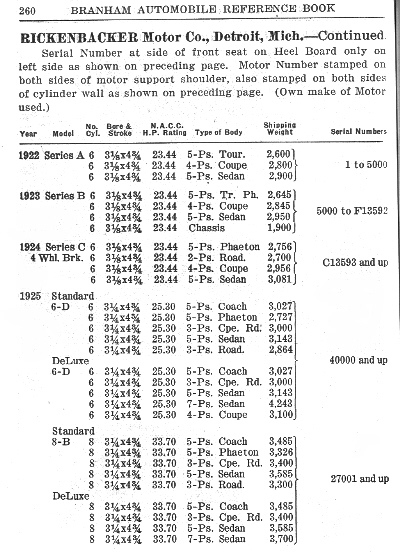 The next two pictures were scanned in from a 1925 Branham Automobile Reference Book. My copy isn't in the best of shape and the pages are similar to tracing paper which make scanning these pages for a quality picture very hard. These are the only two pages out of 512 in the book that deal with Rickenbacker.. Here shows a listing of Rickenbacker Serial numbers that were assigned from 1922-1925. This is according to Branham which seems to be very accurate so today. These Branham Automotive Serial Number books are few and far between, so if you find one grab it!!! They also don’t come very cheap either when you do find them. Here is a picture of my 1923 Rickenbacker 4 passenger coupe and where you’d find the Serial Number tag. This is a common spot where most Rickenbacker Serial Number tags can be found on the early models. 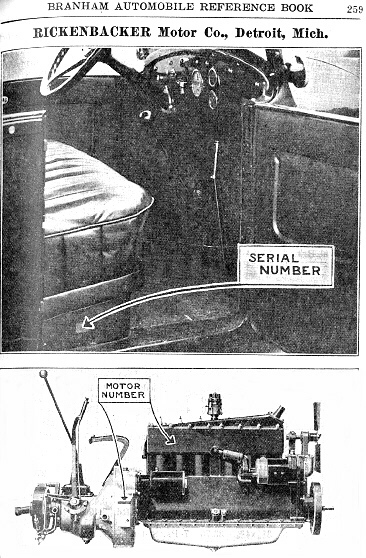 Some time in late 1926 until the end of production in Feb 1927 the Serial Number tags were moved to the dash. This is a close up picture of my 1923 Rickenbacker 4 passenger coupe Serial Number tag. 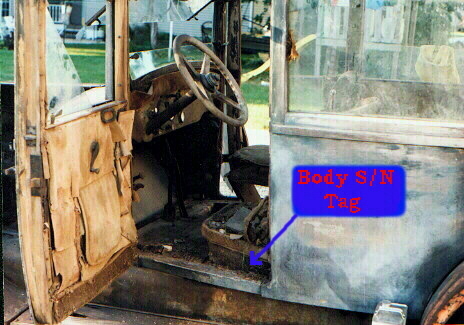 As you can see this tag is only attach by two nails into the lower piece of wood on the drivers seat. Many of these tags were removed before the cars were scraped, and from time to time you’ll see these tags for sale.